American disco diva Amii Stewart‘s 1985 album The Hits is being reissued by Cherry Red, with bonus tracks, this August. 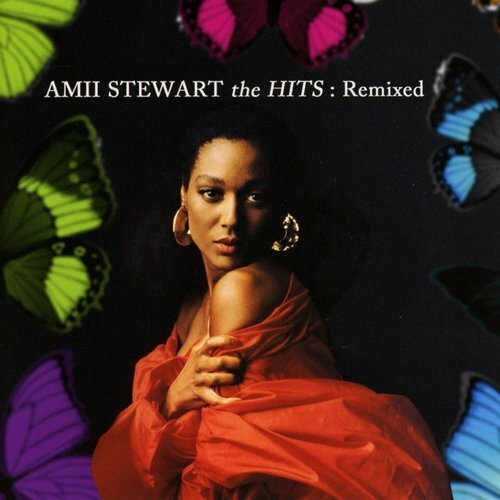 The title of The Hits: Remixed, acknowledges that the 31 year old compilation actually featured new remixes of each of the ten tracks. These include the classics Knock On Wood and Light My Fire which were issued as the A and B-side a successful single at the time. This 2016 edition features attractive, fresh artwork and has been newly remastered and includes two bonus tracks: 1985 extended mixes of the tracks mentioned above.